Boys' Night Out is now in its 35th year, playing the best in Soul, Rhythm and Blues, and Carolina Beach Music. Bill Capshaw and Kathy Hill front the band, with seven horns behind them. Their repertoire includes Wilson Pickett, James Brown, Otis Redding, Al Green, the Temptations, Martha and the Vandellas, Etta James, and Dusty Springfield. They're semi-famous for their rendition of George Clinton's I Wanna Testify and Bobby "Boris" Pickett's perennial hit, the Monster Mash. They also do a great job on a medley of Sam and Dave's greatest hits. 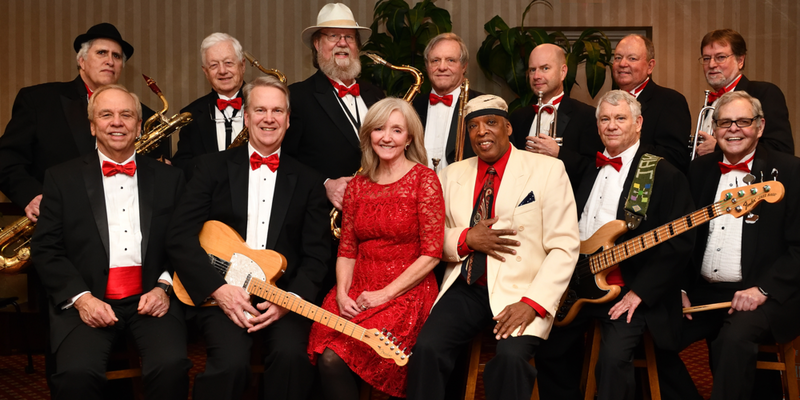 So if you like the solid rock and roll classics sound, and you like to dance, then the Boys' Night Out's Soul, Rhythm and Blues, and Carolina Beach Music Show and Revue is sure to please.